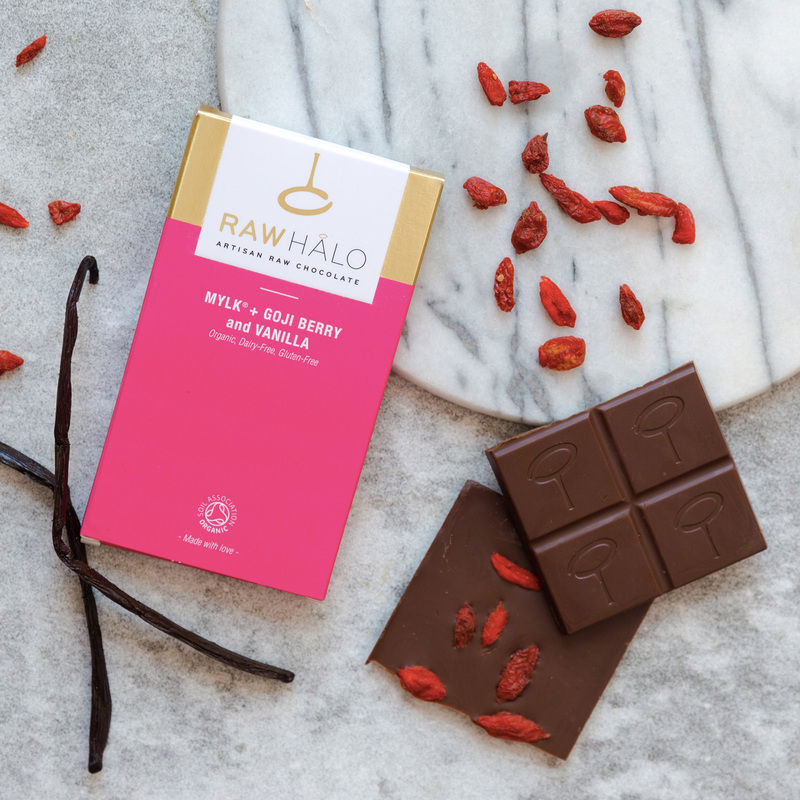 Our Pure Mylk raw chocolate with the finest whole goji berries and enriched with pure vanilla. We add cashew nut butter, unrefined coconut sugar and lucuma powder to give a deliciously creamy taste. Made with only organic ingredients. 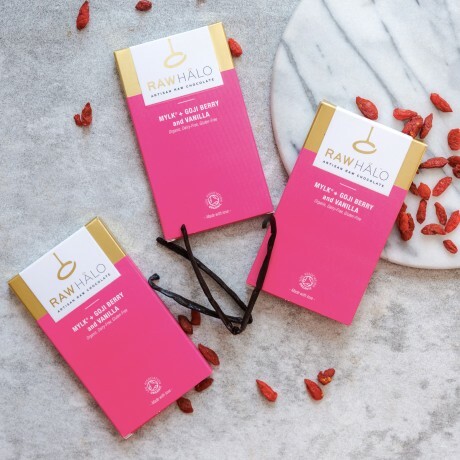 Raw cacao butter*, coconut sugar*, raw cacao powder*, cashew nuts*, lucuma powder*, goji berries* (5%), inulin powder*, pure vanilla extract* (0.2%), vanilla powder* (<0.1%). *Certified organic ingredients. Cocoa solids 54% minimum. For allergens see ingredients in bold. Not suitable for nut allergy sufferers.